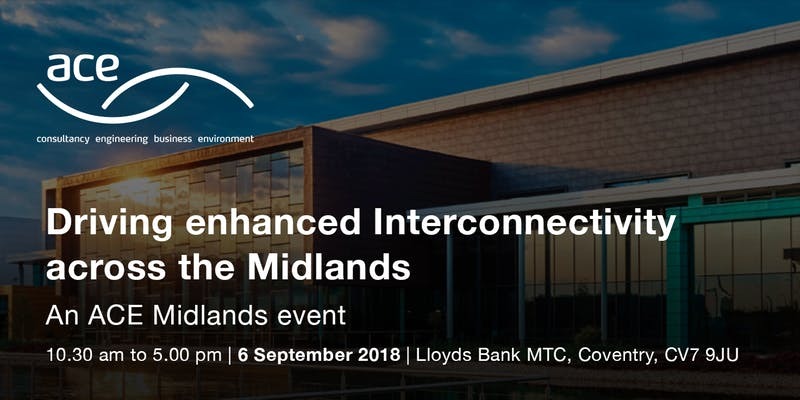 Geo-Environmental is delighted to be sponsoring a seminar with private and public stakeholders interested in delivering enhanced interconnectivity across the Midlands. This builds on the work that we have been doing in the region from our Birmingham office in Fort Dunlop. As the leading business association in the sector, ACE members are at the heart of delivering, maintaining and upgrading our buildings, structures and infrastructure. They provide specialist services to a diverse range of sectors including water, transportation, housing and energy.